Angela Quarles is a geek girl romance writer whose works includes Must Love Breeches, a time travel romance, and Beer & Groping in Las Vegas, a geek romantic comedy in novelette form. She has a B.A. in Anthropology and International Studies with a minor in German from Emory University (Atlanta) and a Masters in Heritage Preservation from Georgia State University (Atlanta). She currently resides in a historic house in the beautiful and quirky town of Mobile, Alabama. I posted pictures of tarantulas on Facebook that were in and outside our garage the other day. Along the side I'm posting one tarantula picture as well as three shots, increasingly closer, of what I think is a tarantula nest. 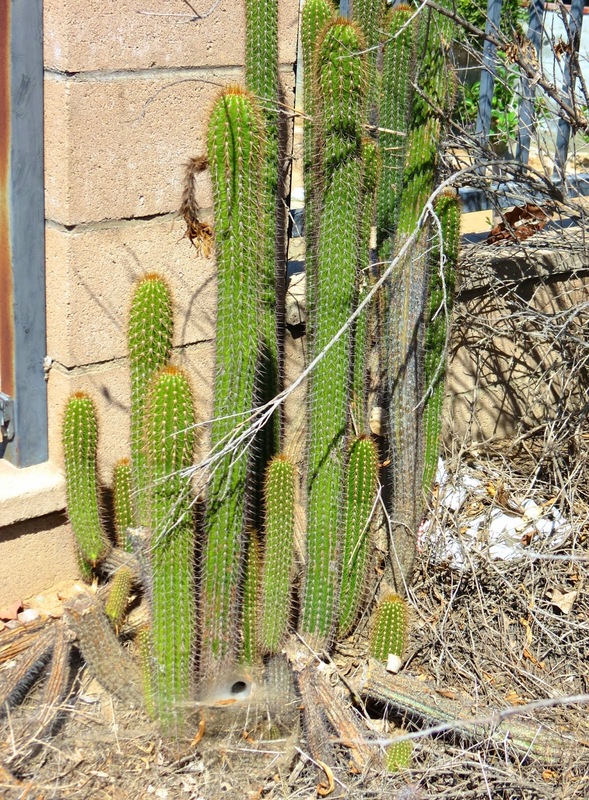 Afterward is a picture of our largest cactus showing how many tuna (fruit) it has this year. I have several bits of news to share. Can you spot the spider nest? First, the Hadley Rille Books' Indiegogo ends in about 11 hours! If you've been meaning to support this great small press (which publishes great fantasy, science fiction, and historical fiction), now's your last chance to get the great Indiegogo perks. (You can contribute to HRB at any time, but only now will you get signed books or a teeshirt for doing so.) To donate, go to https://www.indiegogo.com/projects/support-the-growth-of-hadley-rille-books-a-quality-small-press-publisher?sa=0&sp=0. 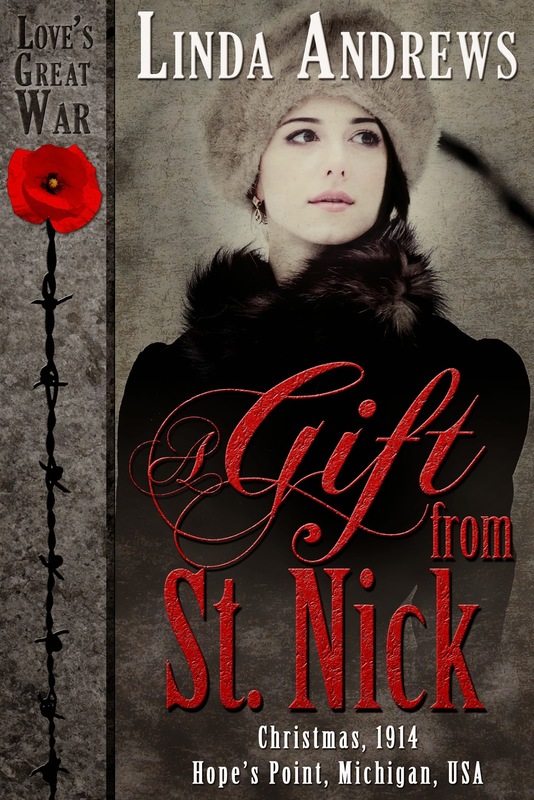 Also, I am offering additional perks; find out at my last blog post at http://www.shaunaroberts.com/2014/07/extra-perks-for-hrb-indiegogo.html what I'm offering to people who donate. Second, the Goodreads giveaway for my new self-published novel, Claimed by the Enemy, ends in about 11 hours as well. Claimed by the Enemy is a historical novel with strong romantic elements set in ancient Mesopotamia. To enter for a chance to win a signed trade paperback, click on the button in the Goodreads ad at top right or go to https://www.goodreads.com/giveaway/show/99751-claimed-by-the-enemy. Do you agree it's a tarantula nest? 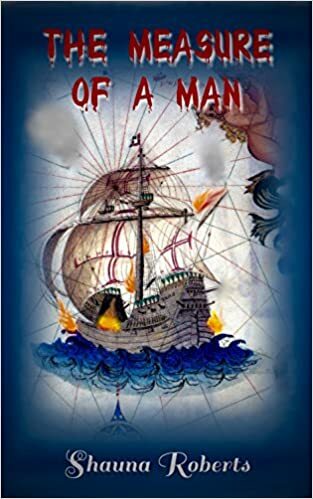 If you don't trust your luck, you can buy the novel outright at Amazon.com as a trade paperback and as a Kindle ebook; it's also available at Barnes and Noble online as a trade paperback. Third, most of the data from my previous newsletter list was lost. I am collecting names again for a newsletter that would probably come out three or four times a year. Each would include news and a giveaway and possibly some photos as well. To sign up, type in your email address in the very pale form in the right column or go to http://eepurl.com/Fr3Hf. Fourth, if you like to listen to audiobooks, my 2009 historical novel Like Mayflies in a Stream and my 2012 sf novelette "The Hunt" are both now available as audiobooks. Find them at Audible.com and at Amazon.com. 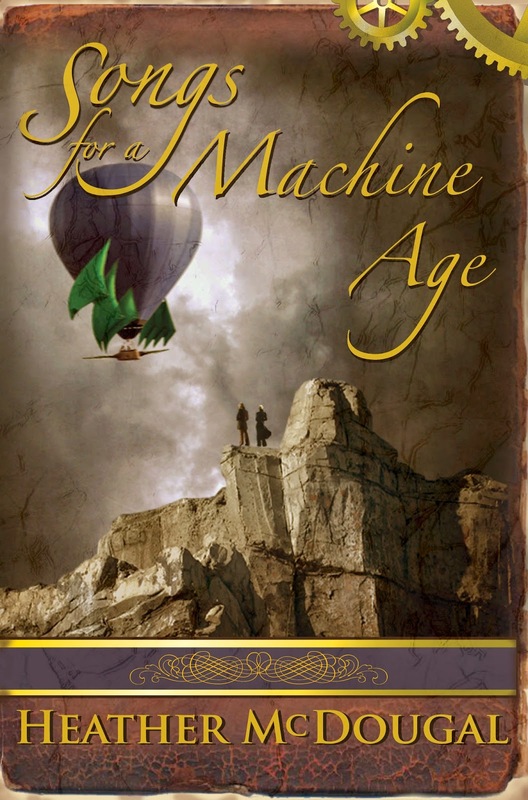 Fifth, I have a new dark historical fantasy novelette coming out tomorrow or Saturday. 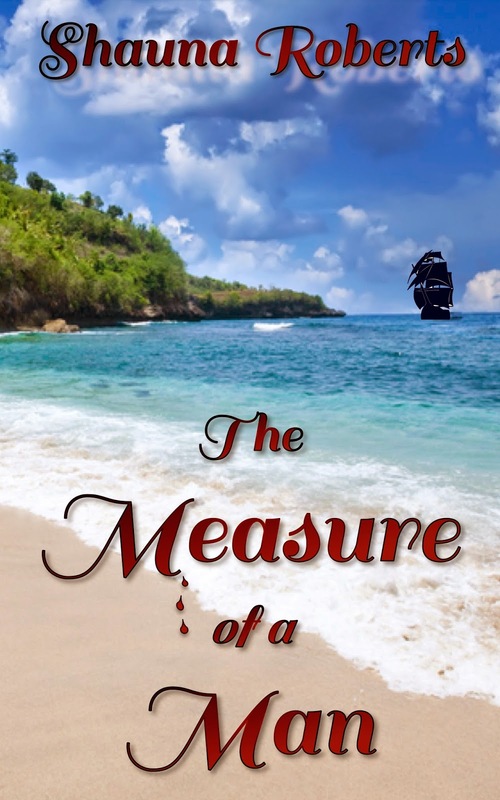 It's entitled The Measure of a Man, and I will be self-publishing it as a Kindle book. The hook: zombies in paradise. I'll post the link when it is up. 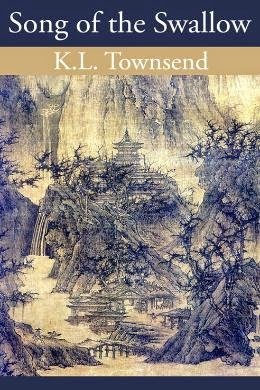 UPDATE: The ebook is up at http://www.amazon.com/dp/B00MD7NW1W. Thanks for reading, and please sign up for my newsletter. You can cancel at anytime, and because MailChimp is handling the newsletter, I won't even know you've unsubscribed! To encourage more people to support the Hadley Rille Books' Indiegogo project, I'm adding some additional perks for those who see this blog post and who live in the United States or Canada. These are in addition to any perks you receive from Hadley Rille Books as described at Indiegogo. To receive your desired extra perk, (1) contribute to the Hadley Rille Book Indiegogo, (2) forward your acknowledgement or receipt to me by email at ShaunaRoberts@ShaunaRoberts.com, (3) tell me which perk you would like, and (4) give me your mailing address. 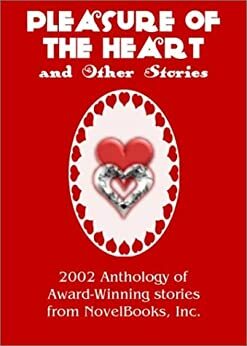 An HRB novel dedicated to you! 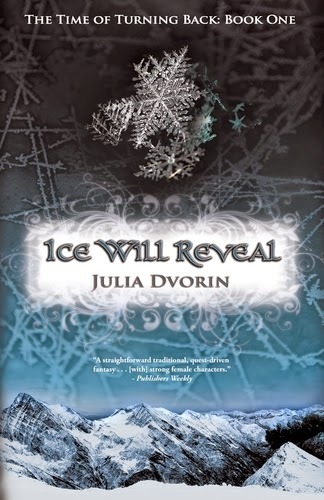 • Your choice of one copy of Like Mayflies in a Stream or Claimed by the Enemy now or a copy of Ice Magic, Fire Magic after its publication in 2015. If you choose trade paperback format, it will be signed. A story written just for you! 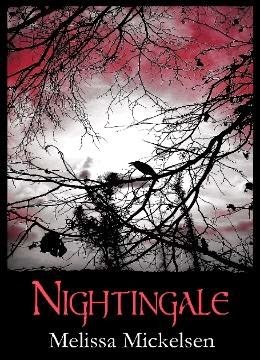 • A short story of 5000 words or less written for you by me with your choice of genre, setting, characters, etc. You can be the hero! Or the villain! Don't see what you want? Do I have it, or am I able to produce it? Write to me at ShaunaRoberts@ShaunaRoberts.com with your idea for a perk and what you will donate to Hadley Rille Books to get it. I will agree to all reasonable requests. Remember, contribute to the Hadley Rille Books Indiegogo at the Indiegogo site; don't send your contribution to me. I'll just buy chocolate with it. Also, these extra perks are for people with U.S. and Canadian mailing addresses; sorry, everyone else. Thanks for helping Hadley Rille Press survive and thrive. The Universe really wanted us go to Château Labottière today and see an unusual piece of art. We woke up today never having heard of the house (now the Institut Culturel Berhard Magrez). But at a shop, the owner handed us a flyer for the house, saying her son gave tours there. We looked at the map. It was easy to get to and near a large city park, so off we went. Then for some reason we didn't understand, the ticket desk let us in for free instead of the usual 7 euros each. We toured the gardens and looked at the art downstairs. We were about to leave when the guard said we were allowed to go upstairs, despite the sign saying we couldn't. 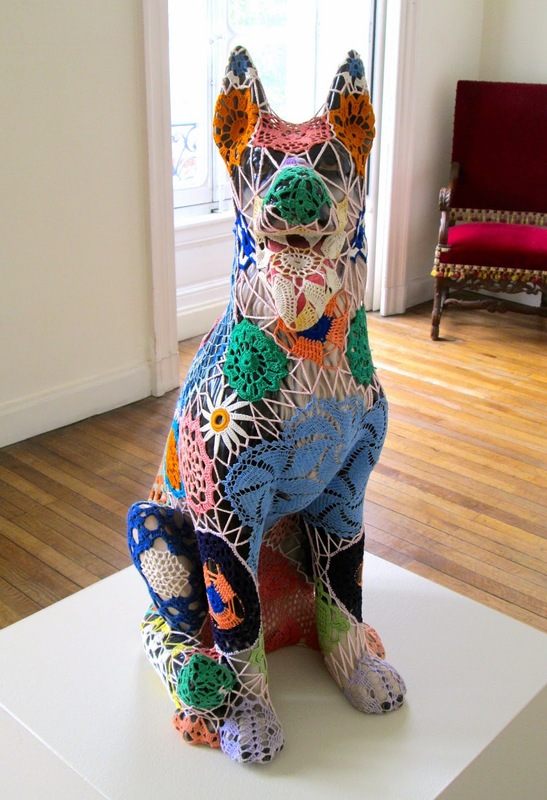 Upstairs, we found this delightful piece: "Macedonia," made by Portuguese artist Joana Vasconcelos in 2006. 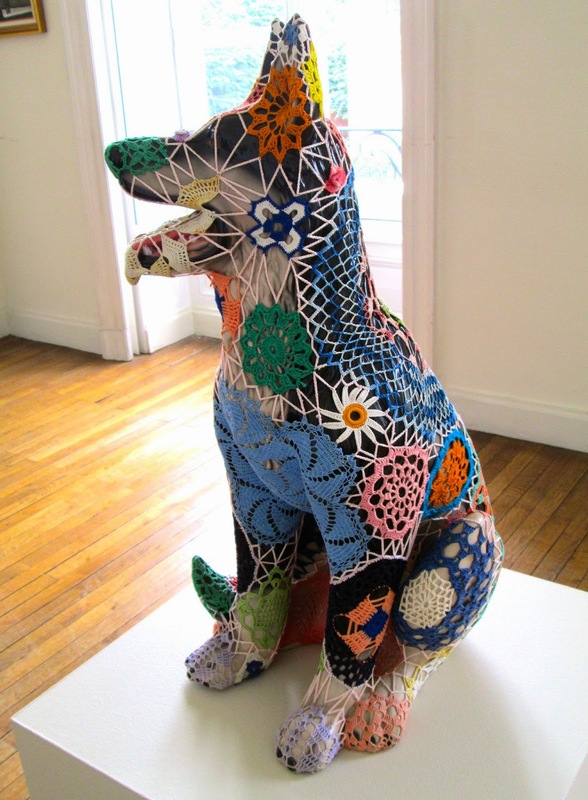 It consists of a ceramic German shepherd encased within crocheted cotton. According to the rather awkward English commentary, "To Portuguese women, knitting is a symbol of femininity. 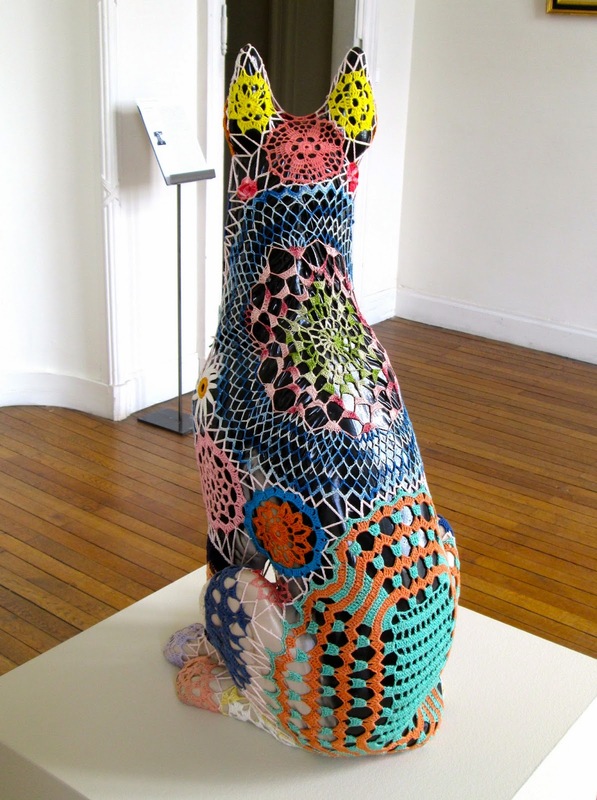 By clothing her ceramic sculptures....Vasconcelos is articulating her work on the opposition between animality and feminine softness." Uh, okay. 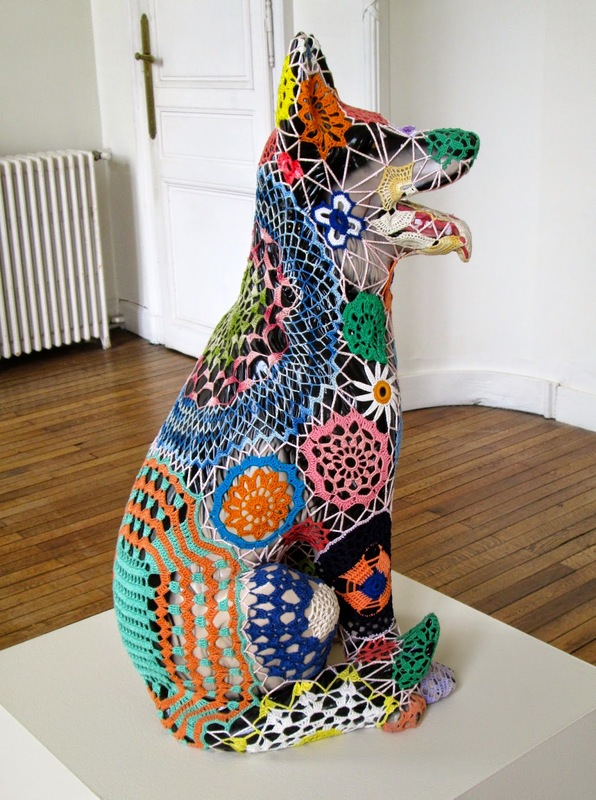 I liked it because the crochet was beautiful, and shaping it to fit the animal took a lot of skill. As were were leaving, we picked up a brochure on the colorful history of Château Labottière. It was built before the Revolution for the brothers Antoine and Jacques Labottière, Bordelais printers and publishers who wanted a vineyard in the countryside. The brothers were ruined by the Revolution and had to sell the house. It next became a "pleasure house" called Tivoli. Later occupants include the mayor of Bordeaux, the Jesuits, a woman and her live-in lover, and the French government. The building now houses part of the art collection of wine magnate and art lover Bernard Magrez. 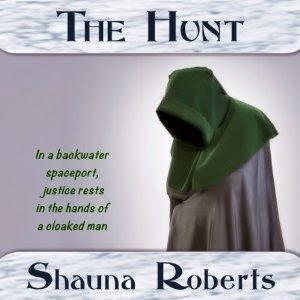 Amazon.com has discounted the audiobook version of my science fiction novelette "The Hunt" by 70%. It usually is $6.95, but now it is $1.99. I don't know how long it will be on sale. Here is the link: http://smile.amazon.com/The-Hunt/dp/B00JAK5A1K. I'm guestblogging today at Anne E. Johnson's blog, "Jester Harley's Manuscript Page." I talk about why I do so much research for my novels. 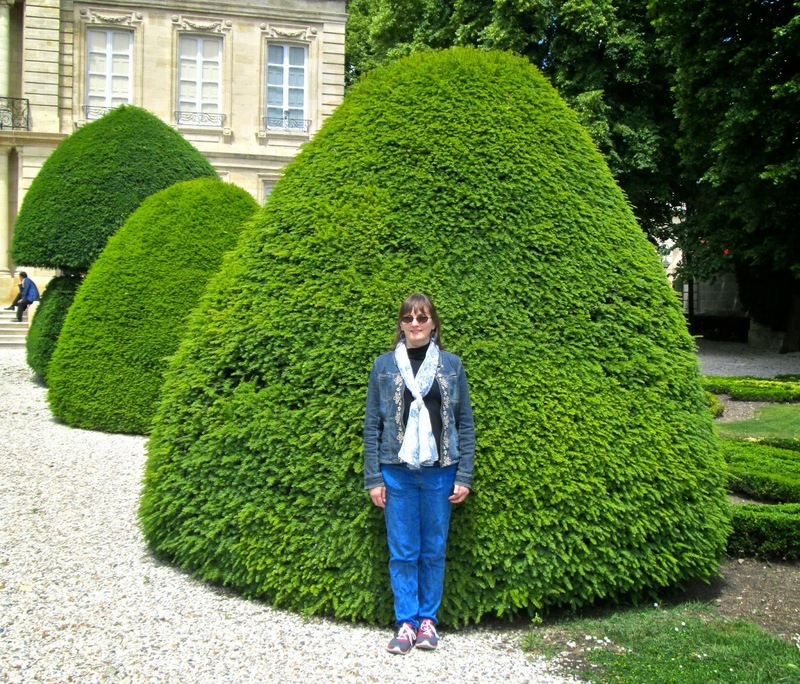 You can find the post at http://anneejohnson.blogspot.fr/2014/05/shauna-roberts-on-mesopotamia-and-doing.html. I'm in Bordeaux again, and I'm taking lots of pictures. When I have a chance, I'll put together some photo essays for the blog. In the meantime, I'm posting some pictures on my personal Facebook page (https://www.facebook.com/shaunaroberts) and on my author Facebook page (https://www.facebook.com/pages/Shauna-Roberts-author/194876117254102). 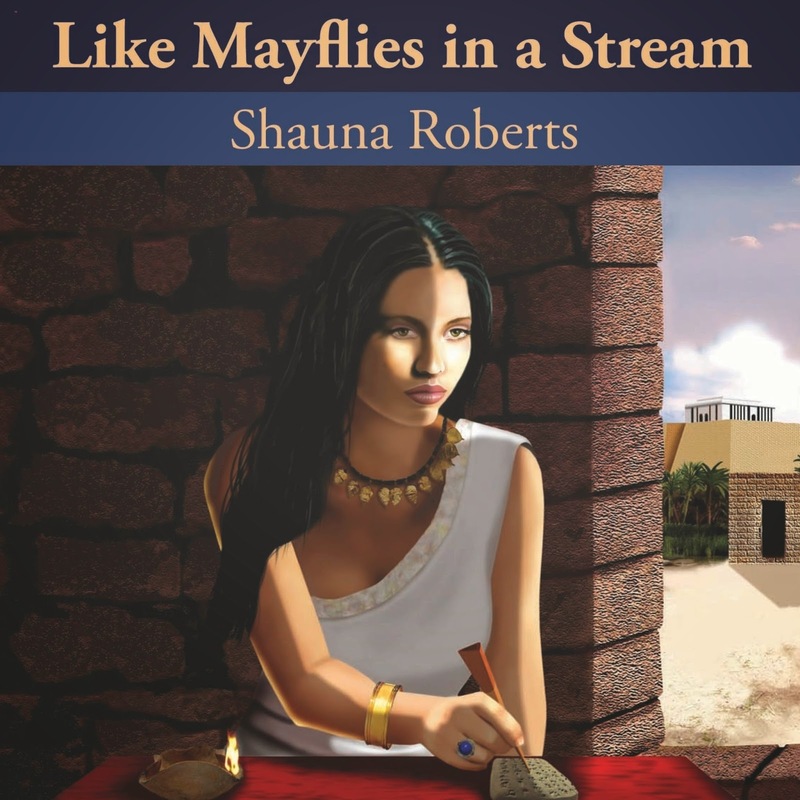 At left is a preview of the audiobook cover for Like Mayflies in a Stream. The audiobook is in production and will be released in early summer. By the way, Hadley Rille Books is discontinuing its hardcovers. If you were thinking of getting the hardcover version of Mayflies or any other HRB book, now is the time to order. When they run out, they're gone for goo.